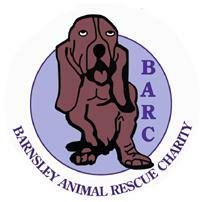 We are holding a rabbit open day on Sun 15th August , 12 till 5 pm. It will be held in my garden so wont be a huge affair but we will hopefully be able to raise a little much needed cash and also give out free advice on rabbits and Guinea pigs. There will be a small entrance fee of 50p per person and this will entitle you to a free drink. We will have a cake stall , tombola,bric a brac stall and refreshments. There will be a pet supply stall too and handmade4 jewelry. And of course you will get chance to meet the bunnies .